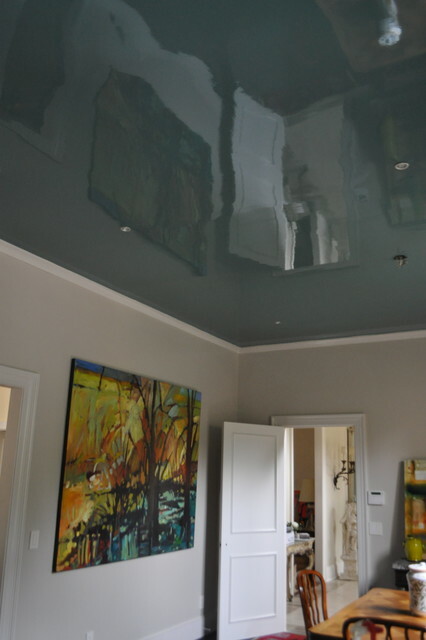 This ceiling represnts our Glace finish with its soft reflective antique glass like look. how do you get the high glaze look? what is the application? Wow. I don't know if it's the same but I had the front door of my last house done in a look very similar. It's not a diy but boy was it worth it. I never thought of the ceiling. I can just imagine candlelight dinner. Do you have any candlelight photos? Your work is stunning. Thanks the only pictures I have are on our glacé page.